Has Mobile Check-In Checked Out? Foursquare made mobile check-in the “in” thing for the past few years, but this hot trend is no longer as cool as it was and marketers wonder if check-ins are now out. Yet a new case study from Denny’s challenges the notion that check-ins are worn out and may make marketers reconsider the power of the mobile method. To check out these results and see whether marketers think that check-ins can go the distance, Adweek.com featured all of the findings. 40%-50% increase in check-ins to Denny’s restaurants. 42% of consumers who checked in clicked through to download the app. 26% who checked in visited a Denny’s location that they had never been to before. Now, Denny’s plans to run additional check-in campaigns in the future. Even the creator of check-ins is branching out beyond them. Foursquare just moved all of its check-ins to two separate stand-alone apps as part of their redesign and rebranding. The platform now revolves around its new branded-ad opportunities, including location-based placements and promoted places that serve up ads relevant to search terms. Maybe check-ins just need a tune-up. It seems that many companies have moved on from the traditional mobile model and are discovering the next generation of check-ins. For instance, Wendy’s no longer uses conventional check-in campaigns, which require consumers to physically touch their smartphones. Their check-ins are now geo-triggered by a smartphone’s GPS chip for no-touch, no-hassle check-ins. 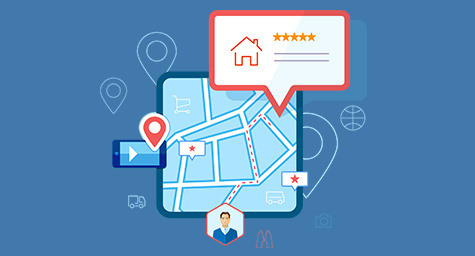 These features are usually built into mobile websites and let consumers opt-in to share their location data in exchange for exclusive content. Then, Wendy’s uses this location data to serve up relevant ads, as well as glean insight into consumer behavior in restaurants and find the best places for new stores. Meanwhile, marketers analyze this data to see consumer smartphone usage habits. Check-ins aren’t tapped out, they’re just evolving to better serve the needs of brands and marketers. Check-ins hold too much potential for consumer insight, ad targeting, and customer influence to be considered out-of-date. But marketers need to be open to understanding and implementing the new technology behind these new-and-improved check-ins. Keep up with what’s up in mobile marketing. Contact MDG Advertising today at 561-338-7797 or visit mdgadvertising.com.